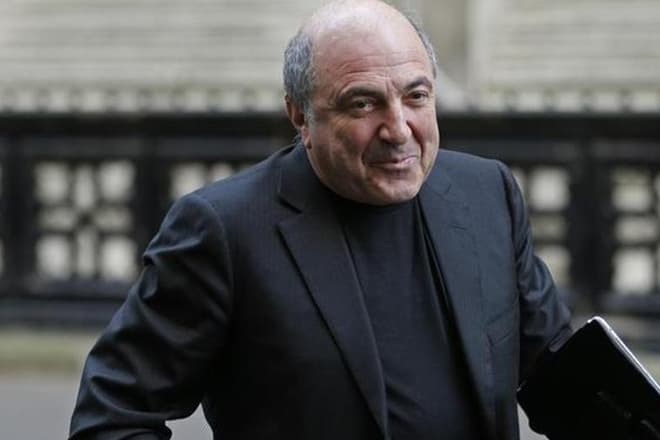 Boris Abramovich Berezovsky is a famous businessman and deputy, one of the main opponents of Vladimir Putin at the beginning of the 21st century. 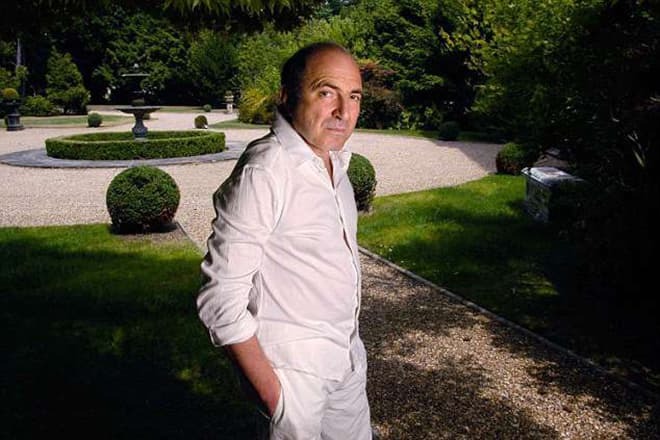 Since the autumn of 2001, he was wanted in Russia and Switzerland on charges of money laundering and even “an attempted seizure of power by force.” Since then, the biography of Boris Berezovsky was connected with Britain. In 2008, Berezovsky, with a fortune of $ 1.3 billion, was considered one of the wealthiest Russians, but in the last months of his life, his financial position significantly worsened, which was considered one of the possible reasons for suicide. He was born in Moscow, in the family of an engineer in construction works, Abram Markovich, and laboratory assistant of the Moscow Research Institute of Pediatrics and Pediatric Surgery Anna Aleksandrovna. Boris started school a year earlier than other children. He studied in a special school with advanced English learning. After graduation, Berezovsky wanted to enter the prestigious Moscow State University, but he was not enrolled. According to him, the reason was Jewish ethnicity. Therefore, he became a student of the Moscow Forestry Engineering Institute, where he got the specialty of an electronic engineer. Later, Boris graduated from Moscow State University, finished postgraduate studies, defended his Ph.D. thesis and became a professor. As for his work, Berezovsky went through all levels of the career ladder at the Research Institute until he headed projects in AvtoVAZ. In addition, the man wrote more than a hundred scientific articles and monographs and also published articles on the restructuring of the country's economy for the newspaper Sovetskaya Rossiya. 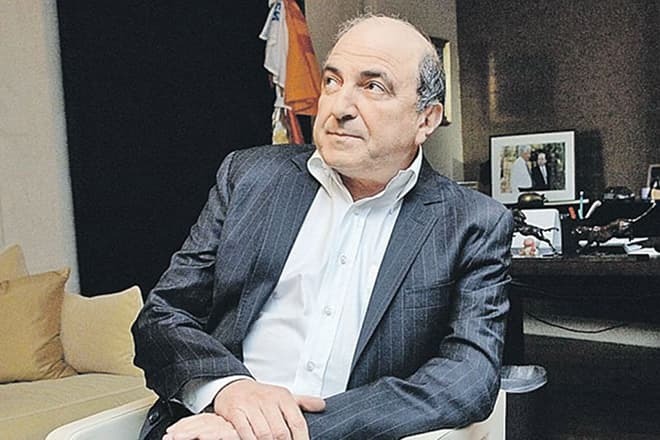 Boris Berezovsky showed himself as a good businessman when he was an employee of AvtoVAZ. So, he decided to found his company and created LogoVaz. His company sold domestic cars, which were returned from foreign car dealerships. Later, Berezovsky's company became the official Russian partner of the Mercedes, and there were banks and even a television channel, the central one, Channel One, in the enterprise structure. By the end of the 1990s, Boris Berezovsky also owned the Kommersant media group, which controlled a huge number of media outlets, including such famous ones as the Komsomolskaya Pravda newspaper, Ogoniok magazine, Nashe radio and the Channel One television company. As a member of the board of directors of the Siberian Oil Company (Sibneft), Berezovsky was an active user of the government short-term bonds, which, according to the Prosecutor General's Office, was one of the reasons for the 1998 default. Later, specialists analyzed the work of Boris Abramovich’s enterprises and came to the conclusion that he had only privatized highly profitable organizations, but for various reasons they did not become more competitive. His actions did not bring any dividends for the Russian treasury and ordinary citizens. In the late 1990s, Boris Berezovsky began to participate in politics. He was interested in it for the rest of his life. In 1996 he became Deputy Secretary of Russia's security council of Ivan Rybkin. Later, Boris Abramovich was promoted to the post of CIS Executive Secretary and became a politically influential oligarch. Berezovsky claimed that he was not only a friend of President Boris Yeltsin and his family but also played a decisive role in the coming of Vladimir Putin to power. However, some sources believe that Boris Abramovich exaggerated his influence on the Russian leaders. Many friends of the oligarch confirm that Putin considered Berezovsky an extraordinary person and a good communicator, and also that the businessman played a significant role in the promotion of the Unity party. But the good relations between Boris Berezovsky and Vladimir Putin, if they existed in the 1990s, did not prevent the businessman from financing the opposition to seize the power by force. Berezovsky also paid for the political campaign of Viktor Yushchenko and Yulia Tymoshenko during the Orange Revolution. 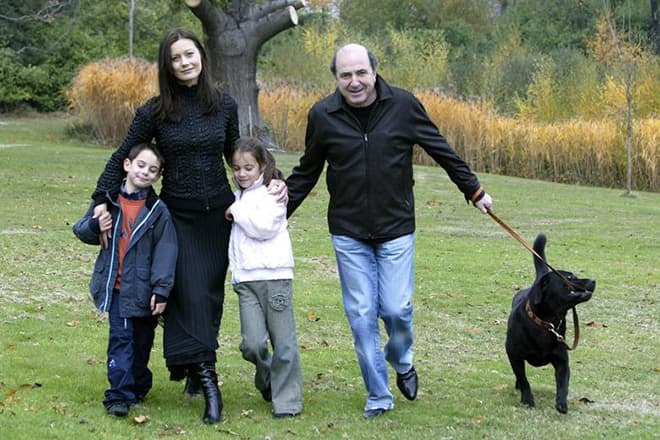 Boris Berezovsky had three wives, each of them gave birth to two children. His first wife Nina Korotkova studied with him at the university, she was two years younger. They married in the early 1970s and had two daughters, Elizaveta and Ekaterina. Boris married the second wife in 1991. Galina Besharova gave birth to his son, Artem, born in 1989, and daughter Anastasia, who was born one year after the wedding. However, the family did not live long together. In 1993, Galina together with her children went to London and the couple did not live together anymore. The divorce was completed only in 2011, and Besharova forced Boris to pay one of Britain's biggest divorce settlements. Boris Berezovsky paid his wife more than 200 million pounds. 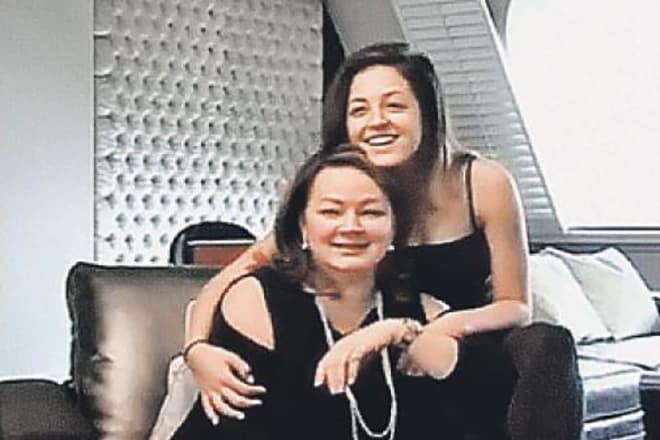 When the oligarch lived in Russia and was officially married, he met another woman, Yelena Gorbunova, who gave birth to his daughter Arina and son Gleb. This marriage was never registered, nevertheless, when in January 2013 Berezovsky and Gorbunova broke up, the woman sued him as a common-law husband and the father of her children for several million pounds sterling. It's interesting that none of Boris's children was interested in politics, although many sons and daughters’ husbands have their own business. 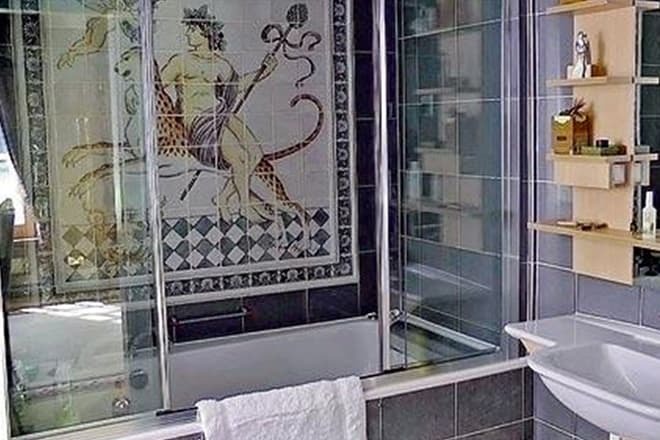 According to Berezovsky’s close friends, he kept on a very strict daily regime. He slept about four hours a day. He planned business and personal meetings in advance, but he often was late, because he was not accurate. Boris Abramovich was very fond of theaters, restaurants, and nightclubs, and he also liked when a lot of people gathered around him. It is believed that there were several attempts on Boris Berezovsky’s life. In the summer of 1994, the Mercedes with the businessman was blown up. As a result, the driver was killed, a security guard and several passers-by were wounded. Criminal authority Sergei Timofeev nicknamed Sylvester was suspected of the attempt. However, he was later killed. In 2007, the murder of Boris Berezovsky was averted in London, where the alleged killer, one of the Chechen fighters, came to punish the Russian businessman but was accidentally arrested by the police under a different suspicion. 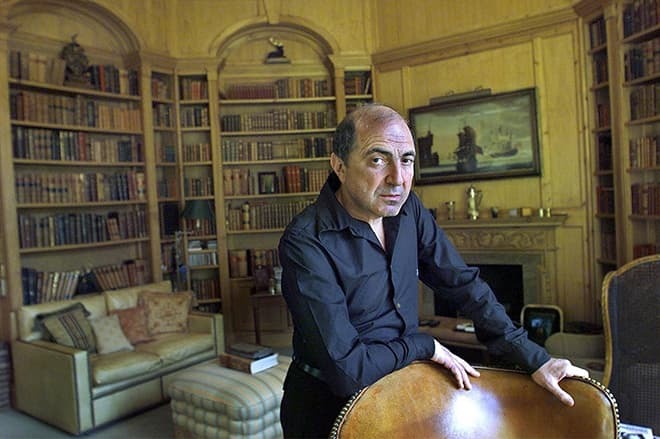 Boris Berezovsky’s death on March 23, 2013, was unexpected. Although the British coroner stated that it is impossible to ascertain the exact circumstances of the death, suicide is considered the official version. The body was found in a locked bathroom, a scarf lay next to him, and there was nothing pointing to a violent struggle. It is known that at the end of his life Boris Abramovich was bankrupt and had depression. He faced large expenses not only after the divorce and compensation to former wives, investments in geopolitics but also after losing the lawsuit against Abramovich. As a result, he had to cover his court costs.